ABC's or 123's are in your soup, but families, forever, memories, joy, love and laughter are in Cherry Blossom's. This fun family quilt can be created just as Cherry has it or you can go wild and create your own. She has included a scaled grid and 81 designs with SVG cutting files or in-the-hoop designs (you choose), this fun quilt will be an all-day class, so we can work with your Silhouette cutting machine (or your favorite cutting method - by hand? ), sewing machines or embroidery machines. 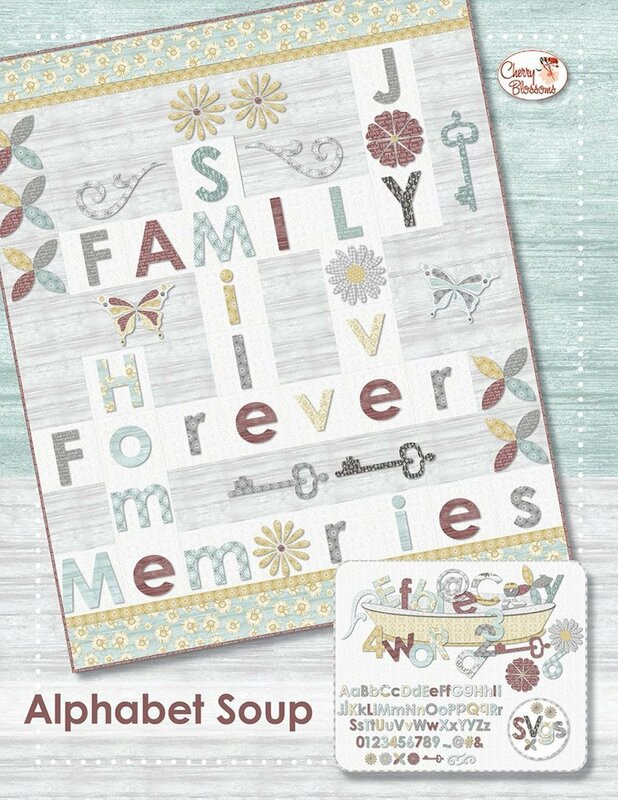 We have patterns and kits available using the "Words to Live By" fabric collection here at Dave's BERNINA. Finished size is 48" x 58"